Did you know that most peoples new year’s resolutions fail by February? 80 percent according to Business Insider, actually. 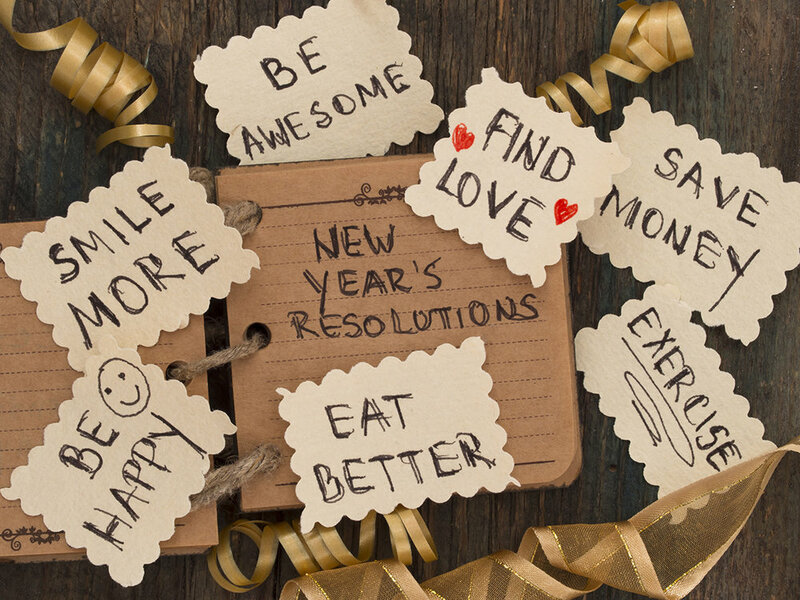 To make matters worse, only 8 percent of people even achieve their resolutions in the end. You can find link after link talking about how those people manage to successfully stick with their resolutions. In fact, both of the links I included talk about that. But, have you ever truly stopped to think about why new year’s resolutions fail? The very definition of resolution is to firmly decide to solve a problem. The problem is we tend to only find resolve once a year. We choose to live with a problem for 364 days out of the year. Then, on the very last day we grit our teeth and say, “This year will be different”. To be fair, there is NOTHING wrong with finally deciding you want something to be different. There is so much power in deciding you want to change something. The rush of emotion you feel when you finally decide that you deserve better is one of the best feelings, second only to actually taking steps toward that change and seeing results. The problem with New Year’s resolutions is that WE DON’T MAKE IT A LIFESTYLE. True change is not a moment-style… it has to be a lifestyle. Something that you vow to change every single day for the rest of your life. We decide on December 31st or January 1st that we are going to lose weight or eat healthier or find a more fulfilling job, and then we stop there. We don’t wake up the next day or the next week and intentionally make plans to change our life. We talk about what we want to change without actually having a meaningful conversation about HOW TO change. Change is HARD! Change takes making a plan and then grinding out that plan every day. It takes making a commitment to do things you really don’t actually want to do because the harsh reality is that change is uncomfortable. Then, once you actually begin to make change, you have to maintain that change for the rest of your life. The thing is, how badly do you want it? Change means doing something or experiencing something you aren’t familiar with, and that means putting yourself into a situation where you’re uncomfortable. We all know that being uncomfortable can be scary. We don’t often allow ourselves to stay in something that is uncomfortable or scary. We will bail to try and find our equilibrium again in something that is familiar and comforting. It takes pushing through and getting comfortable with being uncomfortable to truly create change. One thing we don’t talk about is building our stamina in being uncomfortable. You can’t just decide to crash diet and eat lettuce like a rabbit to lose weight. That is too uncomfortable in the very beginning. Don’t set yourself up by creating goals that are too high for your stamina. We live in an instant gratification world, but all change requires patience. This is your life we are talking about. The rest of your life in fact. Do yourself a favor and don’t fit this resolution into one year. Fit it into the rest of your life and then take it DAY BY DAY. Take it moment by moment if you have to. But once you find your resolve, fight for it every single day! Fight for living your best life every single day. Fight for being the healthiest you can be every single day. Fight for your relationship or marriage every single day. Fight for you every single day. Most importantly, don’t do it by yourself. We weren’t created to be alone and that includes not being created to do things alone. Call me and I will help be your accountability partner. I will help encourage and cheer you on, and not just for this year…. but for the rest of your life (no lie! ).